Camcor Partners Inc. is one of the original Canadian private equity firms funding early stage upstream oil & gas private companies operating in the Western Canadian Sedimentary Basin. Gryphon Investors is a private equity firm focused on profitably growing and competitively enhancing middle-market companies in partnership with experienced management. Yellow Point Equity Partners is a private equity firm investing in mid-market companies. Battery Ventures is a global investment firm focusing on application software, IT infrastructure, consumer internet/mobile & industrial technology investments. 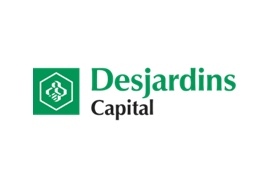 Desjardins Business Capital régional et coopératif, a subsidiary of Desjardins Group, is a development and venture capital fund manager of Capital régional et coopératif Desjardins, Capital croissance PME and Desjardins-Innovatech SEC. Ironbridge Equity Partners is a Canadian private equity firm whose strategy is to make equity and equity-linked investments in high-quality, mid-market, Canadian private companies. Novacap is a buyout and growth equity firms with over $1.6 billion of assets under management.